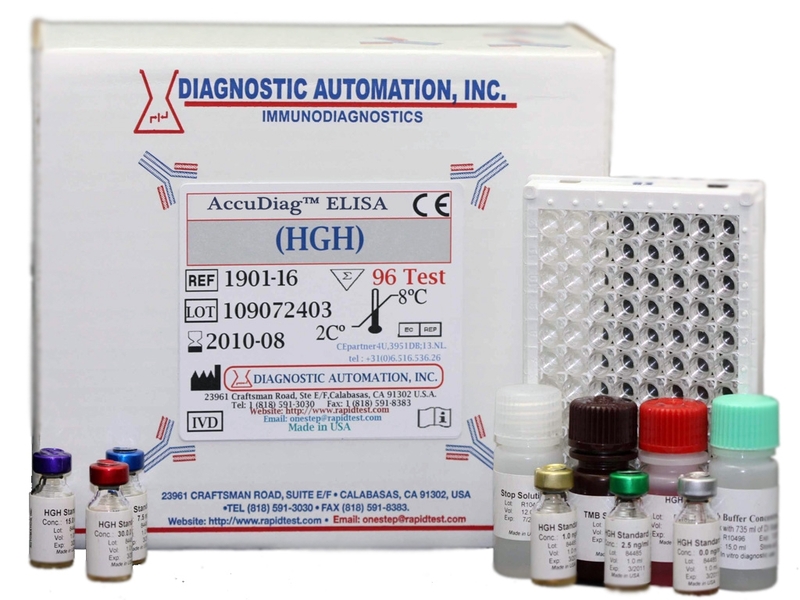 HCG ELISA kit | CE-GMP | 818-591 3030-USA. 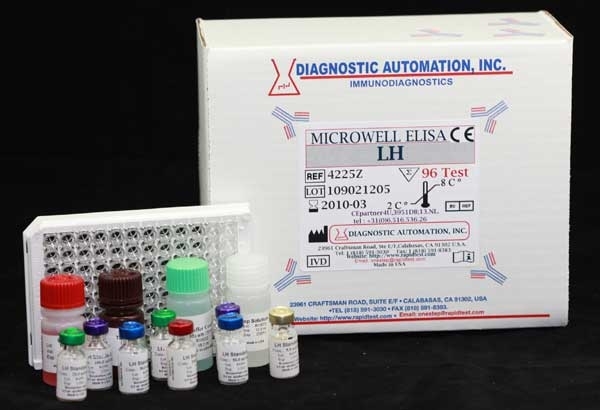 The Diagnostic Automation hCG Visual EIA test kit is for the quantitative determination of Human chorionic gonadotropin (hCG) concentrations in human serum or urine. Human chorionic gonadotropin (hCG) is a glycoprotein hormone secreted by the developing placenta shortly after fertilization. In normal pregnancy, hCG can be detected in serum as early as 7 days following conception, doubling every 1.3 to 2 days. At the time of the first missed menstrual period, serum hCG concentration is about 100 mIU/ml, and peak levels of 100,000~200,000 mIU/ml are seen at the end of the first trimester. Thus making it an excellent marker for the early detection of pregnancy. Elevated serum hCG levels comparable to those observed in early pregnancy may also be associated with trophoblastic or nontrophoblastic neoplasms such as hydatidiform mole, choriocarinoma; therefore, the possibility of such diseases should be ruled out before a positive hCG result is considered diagnostic for pregnancy. 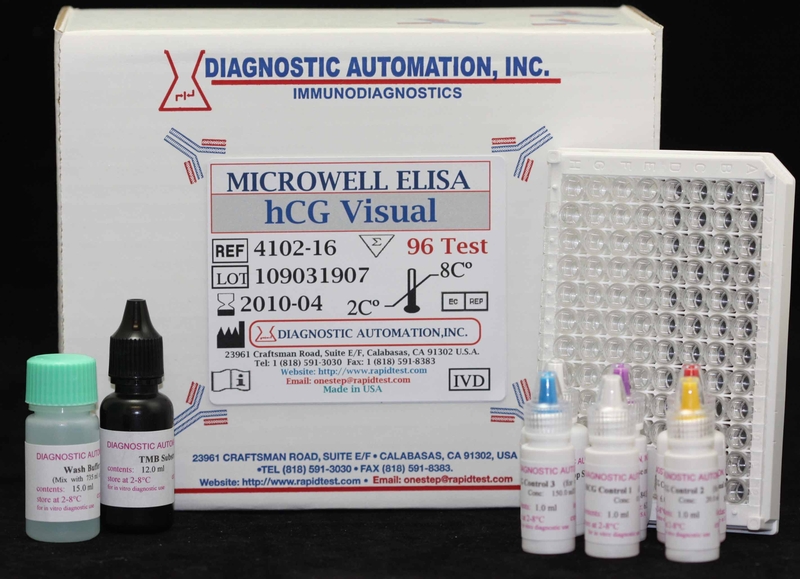 The hCG Visual Test Kits is a rapid test to detect the presence of hCG in urine or serum specimens in a qualitative format. 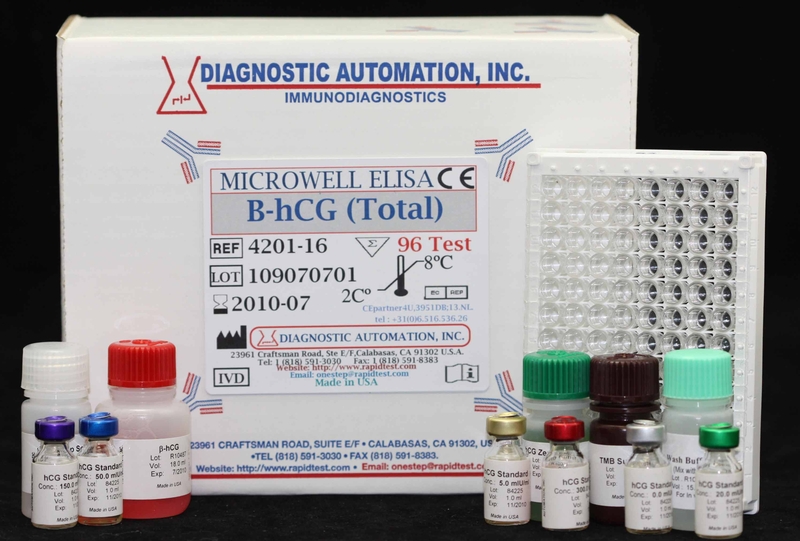 The hCG Visual Test Kit is based on a solid phase enzyme-linked immunosorbent assay. 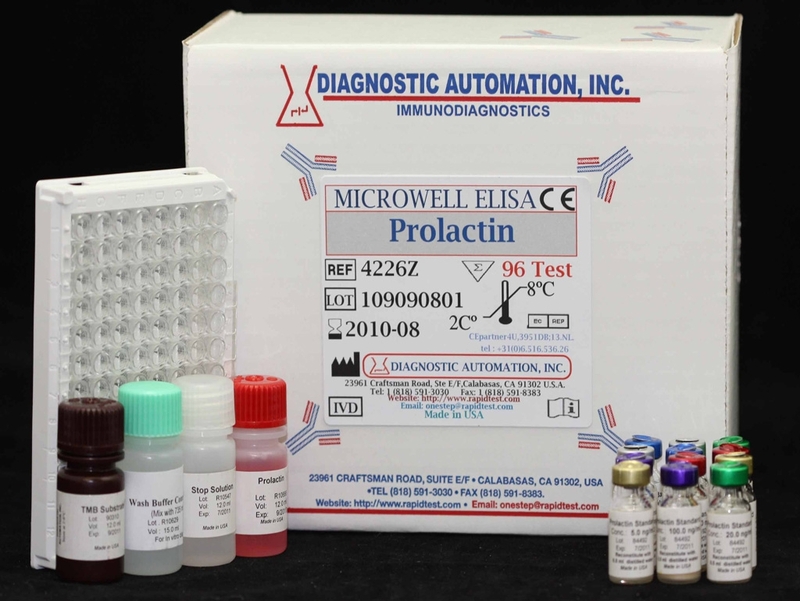 The assay system utilizes one anti-hCG antibody for microtiter wells immobilization and another mouse monoclonal anti-hCG antibody in the antibody-enzyme horseradish peroxidase conjugate solution. 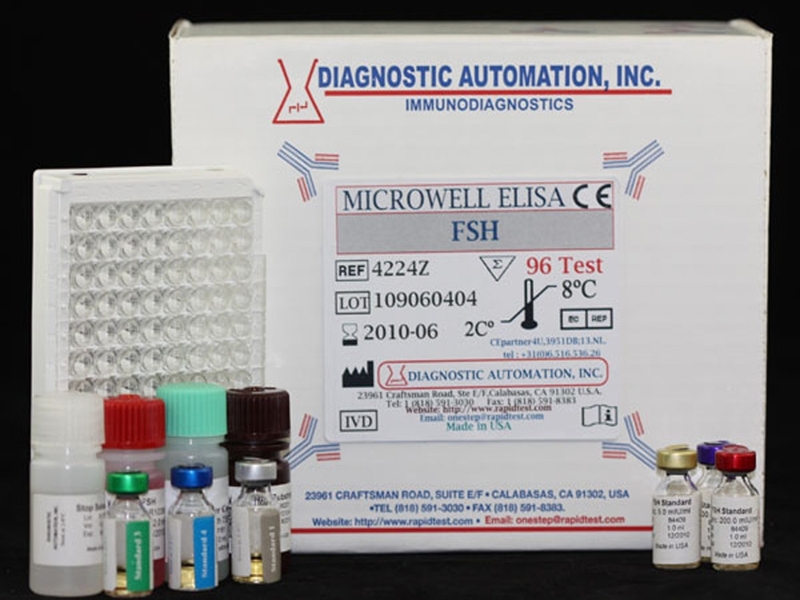 The test specimen serum or urine is added to the hCG antibody coated microtiter wells and incubated with the hCG antibody labeled with horseradish peroxidase conjugate. If hCG is present in the specimen, the hCG molecules will be sandwiched between the solid phase and enzyme-linked antibodies.. For additional details please refer to the instructions for use.